I hardly regret the amount I spend on food and books. My taste in food is also very easy to please unless onions are involved. However there are days that will get you. 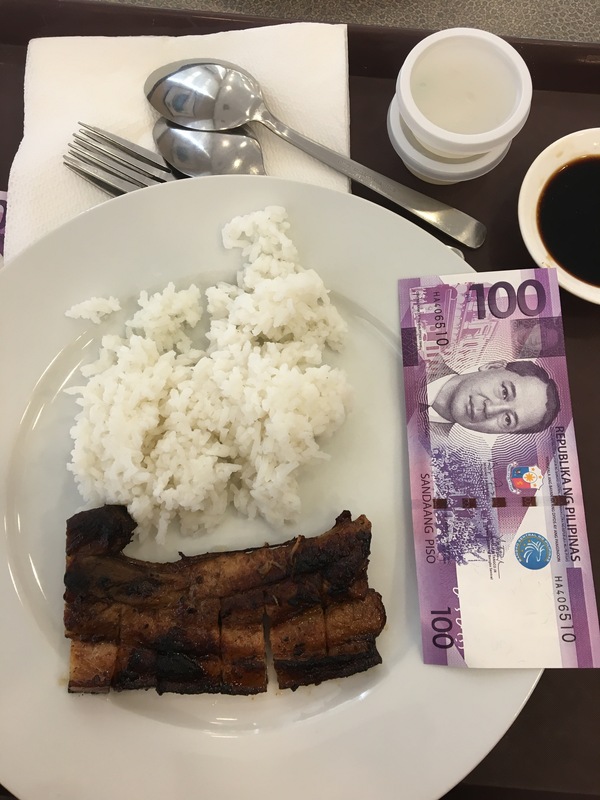 See, I paid 100 pesos for this plate of food. You can tell how the serving is as I put a bill beside it. Hindi talaga makatarungan minsan. And it’s not as if it’s melt in your mouth liempo.